In J.K. Rowling’s collection of “Harry Potter” novels, the titular character becomes increasingly immersed in an epic showdown between the forces of good and evil in the fictional world of magic. At the same time, he increasingly feels the need to go it alone – wanting to protect his friends and mentors from further danger. This goes on until, at a critical moment, his friends Ron and Hermione remind Harry that he doesn’t have to do all of this himself. They will always be there to help, the same as all of the teachers and others who have provided guidance, direction, and support all along. Anyone who has aims for success in the business world knows the value of seeking, cultivating, respecting, and listening to respected mentors. No single person knows every aspect of an industry, a career choice, the best way to balance personal and professional desires and obligations, and a thousand other issues. Mentors help fill in those blanks because they’ve been through the fire. They’ve handled the negotiations. They’ve seen and worked through stretches when plans go awry and you have to fight to get back on track. Mostly, mentors know you and believe in you. They want to help you succeed, and will do all they can to bring about that result. I faced a challenging decision some months ago regarding whether to invite an individual to a PLSG event, based on a past experience that didn’t work out so well. My gut told me this was an important decision, and to reach out to my network. After considering their input and perspective, the decision was made to be completely inclusive, and to keep the open nature of PLSG strong. While I would have felt good about making that decision on my own, the validation from others I respect so highly added a level of confidence that otherwise might have been missing or diluted. It is worth the effort to identify and court people who have blazed the trail ahead of you. Let them know what you stand for, where you would like to go with your career and life, and ask for their help as you make your way. 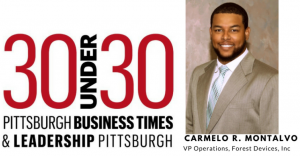 It has been my experience – especially in this friendly city of Pittsburgh, where relationships and associations between people can be so easily connected – that most people would be very happy to serve as mentors and supporters. At PLSG, we consider mentoring a key part of our mission, in fact. After all, as that noted business coach Harry Potter learned while on his famous quest, no one has to go it alone.